– Could I resell the work on the primary market, i.e. through Christie’s or Sotheby’s? – Is the work acceptable for resale by any major dealer? – Is the work acceptable for a major museum exhibition? Imagine the scenario. A client buys a painting from me and wishes to resell it at auction a few years later, only to be told that the auction house cannot accept the work as it is unable to “guarantee authenticity”. The client’s next port of call would be a top dealer, but they also refuse. Where does this leave the seller? Many of the paintings I decline are accompanied by “certificates of expertise”, signed by certain academics who, unlike myself as a seller, are not financially liable. When I have crossed swords with such figures over the years, they have frequently been amazed that I would quibble with their learned opinions. Perhaps they would like to explain to buyers who have bought paintings with their certificates why these have been rejected for resale and not accepted for any major museum show? The situation with Ghent is interesting. 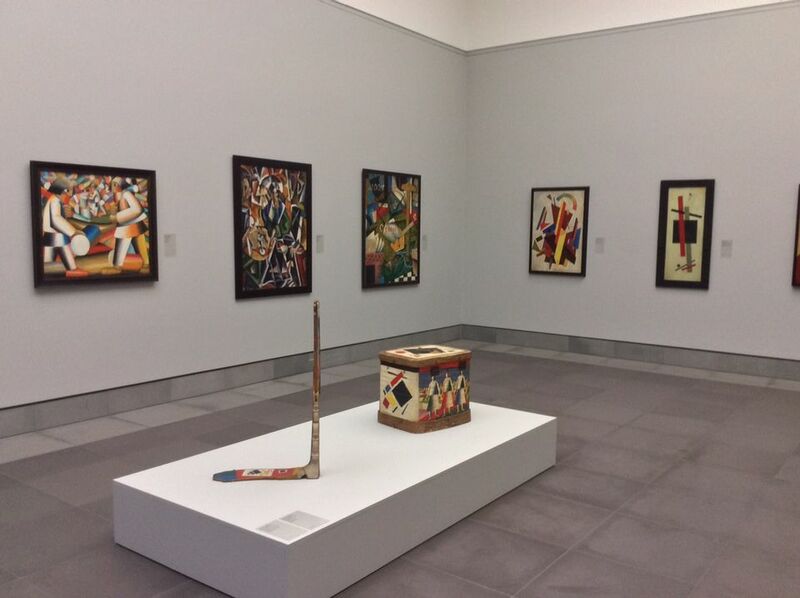 According to the Belgian newspaper La Libre, De Zegher wants to “rewrite the history of the Russian avant-garde”. Has she considered the above criteria? Since she has stated that she plans to take paintings from other European institutions to exhibit with those in Ghent, it would be interesting to know whether the Costakis collection in Thessaloniki, the finest collection of Russian avant-garde art in Europe, would lend pictures from its collection to hang next to those in Ghent? The solution is, I believe, relatively simple: listen to the market. Many dealers will tell you that their first point of reference is fellow dealers who, because of financial responsibilities, err on the side of caution. In the case of Russian avant-garde art, the judgement of many academics is so distrusted that to have their approval on a work is the equivalent of consigning its authenticity to the “extremely doubtful” category. But the connoisseurs are there: the dealers and academics who, with their years of experience, have become great experts. Dealers such as Natalia Kournikova, Ildar Galeev and Maksim Boxer in Moscow, Alex Lachmann and Julian Barran in London – these are people who have been at the cutting edge of the business and know the pitfalls. There are also the academics who signed the open letter: Sasha Shatskikh and Vivian Barnett. These are the people the auction houses go to for the final verdict on authenticity. Greater co-operation between Russian and Western institutions is essential for an improvement in the level of connoisseurship. The State Tretyakov Gallery in Moscow could be more proactive, giving greater access to scientists for much-needed chemical comparisons, and speaking out. Greater legal protection is also vital. Many specialists are terrified of giving their honest opinion for fear of aggressive, bullying lawyers. No one quibbles with Vivian Barnett, nor the Chagall Committee, but there needs to be a similar organisation with the same clout in the world of Russian art. So few of the paintings on the market satisfy the “Holy Trinity” criteria set out above; I am offered hundreds of pictures a year but normally accept only around ten.